Kangana Ranaut Birthday Special: 5 Times the Feisty Actress Broke Rules In Bollywood Like A Queen! Kangana Ranaut, born on 23 March 1987, celebrates her birthday today. The fierce and beautiful actress has always been on-point with her words. Agree with her or don't but she continues to stand with her statements and makes new ones too! The three-time-national award winner has not only out shined with her performances in the films but also her attitude towards life and work in general. She is not known 'Queen' of Bollywood has shattered the common norms in the industry several times and here are a few examples of those! Kangana Ranaut to Take A 'Vow of Silence' Ahead of Her 32nd Birthday; Here's Why. This has to top the list. The curly haired actress gave the fans and the industry a whole new topic to discuss which is of nepotism. She accused filmmaker Karan Johar for practicing 'nepotism' and pointed out on the favourism that is in generally made in the industry towards the star-kids. It was after this infamous episode of Koffee With Karan, when most of them googled the term and are using it till date! While most of them aim towards the Hollywood as their next big feat in the career, Kangy feels the opposite. She emphasizes more on the global cinema and does not believe in limiting herself just to Hollywood. She was quoted saying, "I want to make films that cater to the world audiences. I want my films to be released in other territories as well, but not necessarily Hollywood. If you see, Hollywood has seen a very steep descent in its graph in the last two/three years." There has always been this habit of fans relating success to actresses working with the mighty 'Khans' of the Bollywood. Many of them have even expressed the sense of achievement they had after getting a 'chance' to work with these superstars. However, Kangana finds no interest in working with them. She simply states, "When I wanted work, nobody was ready to work with me. Now that I'm my own hero on the sets, why should I work with other heroes?" Well, how many of them dare to speak like that about these conventional heroes? "Tum aur tumhare pitaji ke paas toh duniya bhar ka paisa hai." You know the rest of it! 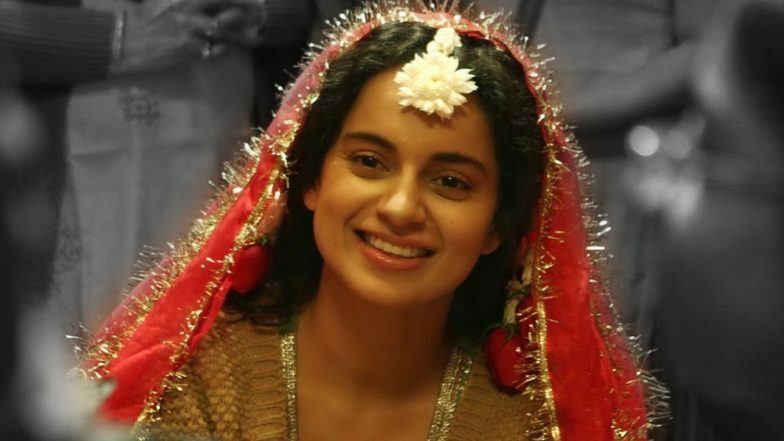 Kangana has spoken about the physical abuse a few times. When she was hit by her father at the age of 15, she did not mince a word and retaliated saying, "If you slap me, I will slap you back." Standing up against abuse, wherever it is, is important, Kangana expressed. Well, she is not known as the queen of tinsel town for nothing! The feisty star has always talked her heart out irrespective of the outcome and that quality is definitely admirable! We wish her a prosperous year ahead!